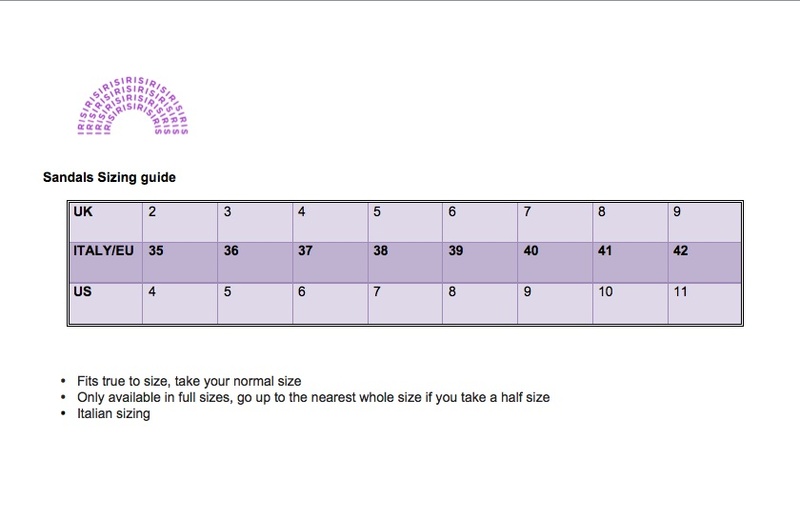 Need help with International Sizing? 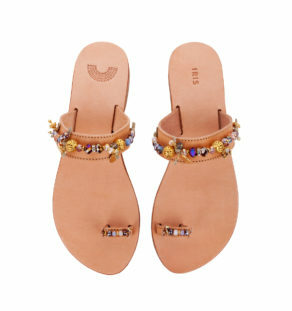 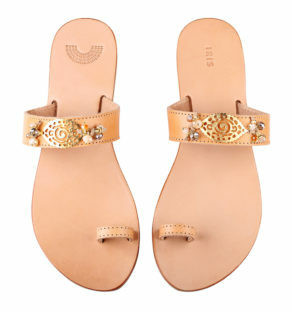 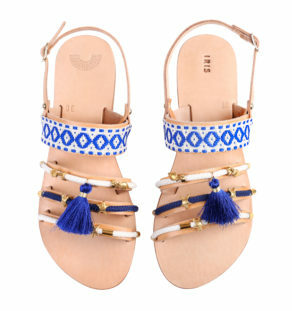 Our Anemone sandals are the ideal pair of go-to summer flats that will work to dress up any outfit. 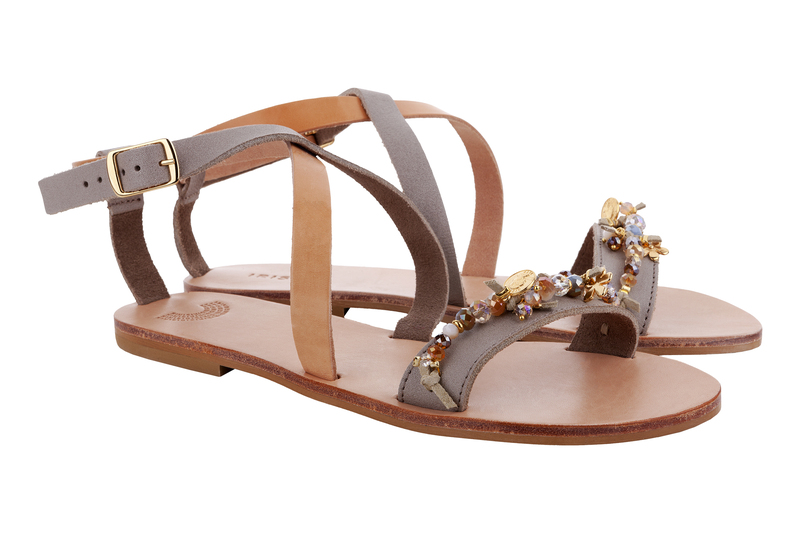 Embellished with exquisite handcrafted detail, the sandals are made with a combination of natural tan and elephant grey vachetta leather. 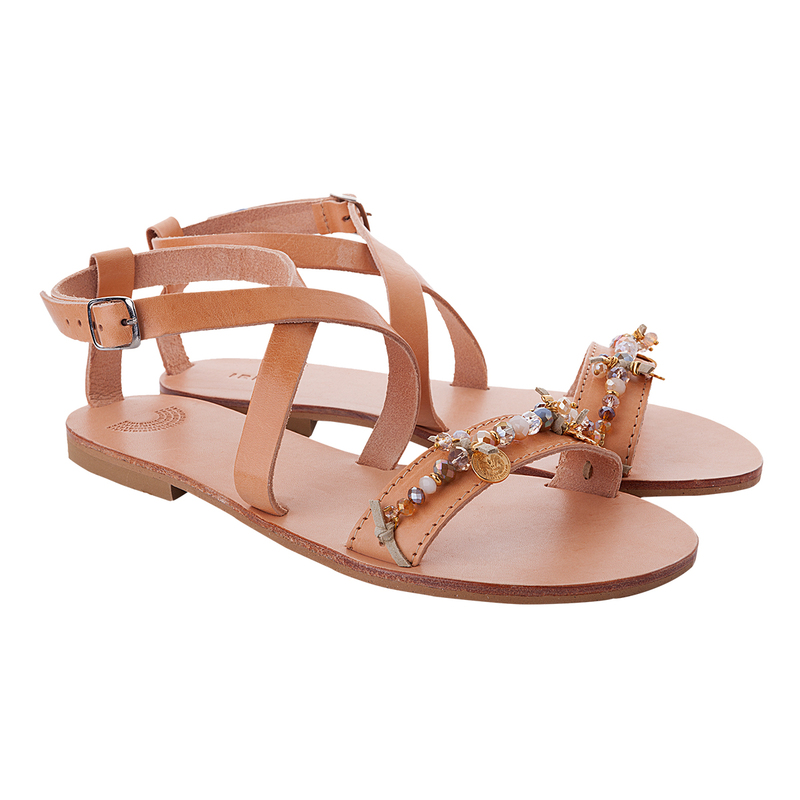 Natural, ivory crystal beads, brass balls with rhinestones and gold-plated charms intermix for a fresh, attractive look that will work with any casual or more dressy ensemble. The leather round open toe and metal buckle ankle strap are designed for comfort, style and durability, making Anemone the perfect sandals for a smooth transition from day to night. 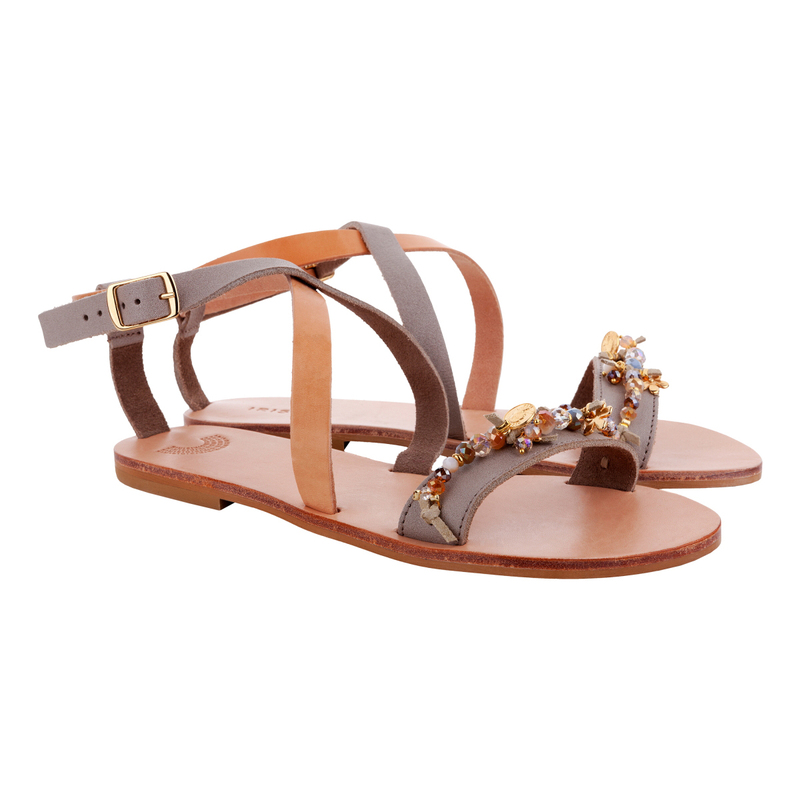 With a choice of strap colour in natural tan or grey natural tan, you can customise the sandals to your own individual style. 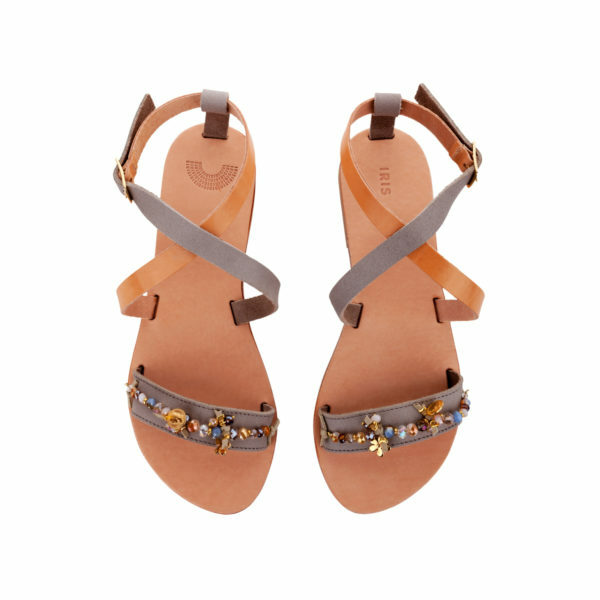 Or why not buy one of each to mix and match your look? 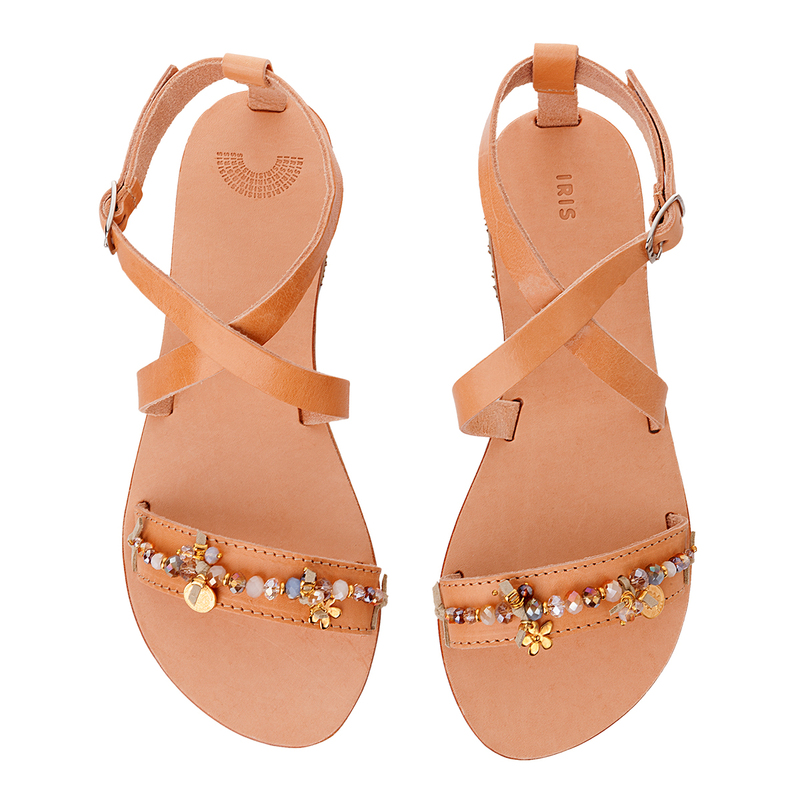 Browse our full range of summer flats.